One of the best ways to learn something is by watching others do it. This is why analyzing competitors and breaking down how large companies operate their businesses can be so fruitful. They’re doing things right, so why not take a note or two? It will help you save time, and gain inspiration for new strategies. Speaking of which… we will be looking at some content marketing case studies today that will make you a better marketer. These examples will teach marketers how to promote, structure, and organize their content. One of the main goals of content marketing is to produce material that a very specific audience would enjoy. This helps attract high quality users that have a better chance of converting into leads and paying customers. Not Copyblogger, though. They have been producing content that is tailored towards an exact group of people since day one. Copyblogger, as you could guess, offers copywriting and other digital marketing services. So, it makes sense that the focus of their content is mostly content and copy related. 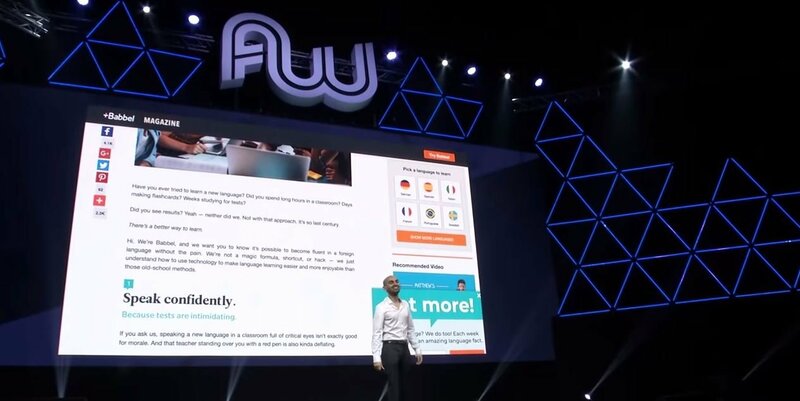 According to a 2017 Forbes article, Brian Clark(The founder of Copyblogger) built this business up to $12 million in revenue primarily through content marketing. His goal when he launched the website in 2006 was to build an audience first, and sell a product later. Too often do marketers focus on monetizing , only to get demotivated because they have little to no people that will buy from them. Tailor content towards your buyers persona to avoid low quality traffic, while increasing how many relevant users visit your website. Content marketing requires patience, so build with the end in mind, and focus on monetizing later. When you think of inbound marketing, what’s the first thing that comes to mind? For many, it’s HubSpot. They are the pioneer and leaders when it comes to inbound, so there’s no shortage of things to learn from them. They don’t just offer an active blog, but a heap of other resources for users. This includes e-books, guides, and reports. 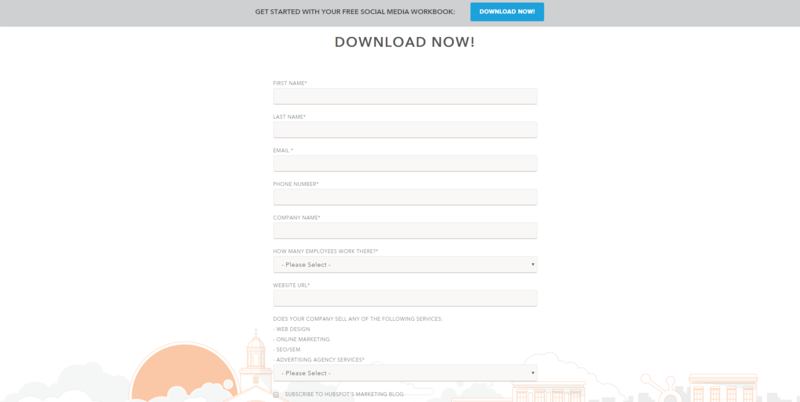 Many of these include an email opt-in form before a user can download the resource, as seen below. This is a very smart move by HubSpot because they offer tons of free value, while also collecting emails. A very unique component of their content marketing strategy is certifications and courses. They are educating their users, while also offering a credential they can show off. This creates a viral effect, since more people will see the HubSpot badge and become interested in checking it out themselves. Offer various formats of content and resources. Blog posts, white papers, case studies, e-books, courses, and videos are good examples that we can takeaway from HubSpot. Consider building a course, paid or free, to educate users and draw them into the sales funnel. Use lead magnets to grow an email list. Neil Patel is the man. But, I’m sure you already know that. So instead, let’s talk about what you can learn from his content marketing finesse. 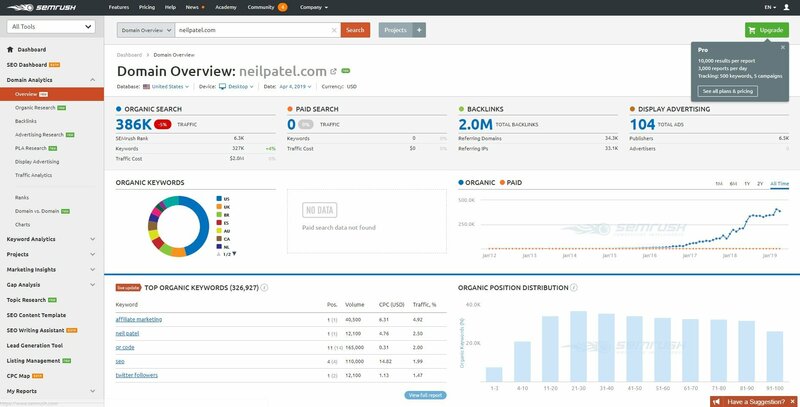 Unless you’ve been living under a rock, you know that Neil Patel is essentially the most famous and influential digital marketer to exist. He’s run wildly successful companies like Quicksprout and Kissmetrics, but his personal website remains at the heart of his operations. Neil is specifically well known for his educational blog. He religiously posted long form content in the range of 3,000 words on a daily basis for years. This allowed him to grow his organic traffic to insane heights. Just look at this SEMrush results. It started to take off around 2016, and he now ranks for over 327,000 different keywords! Despite the wild success on his blog, Neil isn’t a one trick pony. He’s been putting a ton of effort into growing his podcast Marketing School with Eric Siu. There’s nearly 1,000 episodes out already, and an interesting trait I noticed is that they are very short. But, this isn’t a bad thing. I recall one evening when I was out for a run, and I was listening to Marketing School. I loved that the episodes were digestible, and I could learn tons of information in a short amount of time. Additionally, Neil doesn’t just do content marketing online, he does it in person, too. He’s done many public speaking events, and appeared on various different online shows. Master one form of content, and move onto another. In the case of Neil Patel, he grew his blog to a massive size before doubling down on his podcast and YouTube channel. Use public speaking as a personal form of content marketing to educate an audience, become an authority, and promote your business. Don’t be afraid to compete for very high volume search terms, as ranking anywhere on the first page can still drive heaps of traffic. Did you know that John Deere has been publishing a magazine since 1895? A tractor company is one of the pioneers of content marketing! 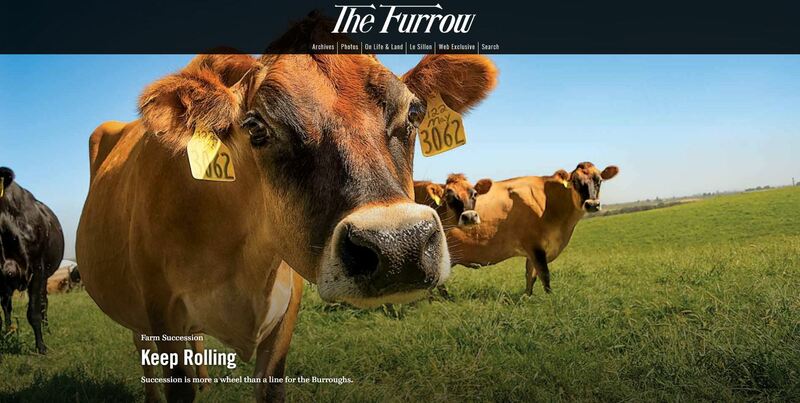 This magazine educates those interested in farming, raising animals, and other related topics. They reach millions of people all around the world every year, and they started it with good ole’ physical paper. It wasn’t until recent years that John Deere brought the magazine into the online space. Create a physical magazine or other material that customers can tangibly enjoy. Use a subscription based system with your content. If you’ve begun with physical content, brainstorm how you can make it into a digital format. Storytelling capture a reader’s attention and elicits emotions. It can make them feel more connected to your brand if they relate to the story on a deeper level. This is why Microsoft started their Story Labs section. It highlights some of the world’s most interesting and disruptive individuals, their life story, and more about what they do. Take Rohit Bhargava, for example. He loves studying trends by taking advertorials, magazines, and other content, and shredding them to pieces. Him and his team find patterns in modern advertising that can organized into actionable strategies. Rohit speaks at 50 different events each year, and consults small companies on how to properly advertise. The article dives deeper into his experience working at Ogilvy, being born in India, and more. Take advantage of user generated content to make customers feel more involved with your brand. Use storytelling to capture an audience’s attention, whether it’s about your own history or one of a customer. A few years ago Mazda launched their Zoom Zoom magazine that is an excellent content marketing example. It targeted readers in Canada, Australia, the United States, New Zealand, and Japan. Within only a few years time it has become one of the leading automotive magazines in the industry. It features a sleek and modern layout that is easy to read and navigate. Mazda has included behind-the-scenes looks into their operations, including test chambers and notes from engineers. Images are high resolution, and a download link is included if readers wish to use them as wallpapers. A lot of the content found in Zoom Zoom magazine has calls to actions that tell users to share the content with friends. In fact, it’s been found that consumers are more likely to share inspirational posts from businesses. Use calls to action in your content to promote social sharing, lead magnets, services, etc. Offer free resources that your audience would love like Mazda gives away high resolution images. I’m a huge car enthusiast, so don’t mind if I jump into another automotive example. Land Rover is one of the most popular SUV manufacturers, and they too have begun investing into content marketing. Two thirds of consumers trust the opinion of other shoppers, which is why Land Rover focused on user generated content. Land Rover Stories is a section of their official website that showcases photographs and stories of customers using their Land Rover vehicle. Some stories feature beautiful landscapes, such as Colorado mountains and Alaska. This shows that the company understands its target audience, as it focuses on what customers are typically using the SUVs for: enjoying off-road terrain. But, they didn’t stop there. In one story, Land Rover followed a young couple and their baby across a two week road trip through Europe It showcased the power of their vehicle, and implies that future customers will also have a great time like the couple did. Produce content that aligns with what your customers truly want. Land Rover understood that their customers enjoy adventures, and created content around that. Get customers involved in content, whether it’s hands-on campaigns or branded hashtags on social networks. I hope you enjoyed these content marketing case studies and examples today. You will notice across all of these different examples, despite what industry they are in, there’s plenty of similarities. These are some of the main things to take away in general. Tailor content towards a very specific audience, to ensure that you attract the highest quality users to your website. Offer a variety of resources, such as blog posts, videos, whitepapers, e-books, case studies, and more. Don’t be afraid to target very competitive SEO keywords because with enough authority you can rank for them. Give readers resources in exchange for an email subscription. Use storytelling to build connections with an audience. Do user generated content campaigns to get customers more involved with your brand.